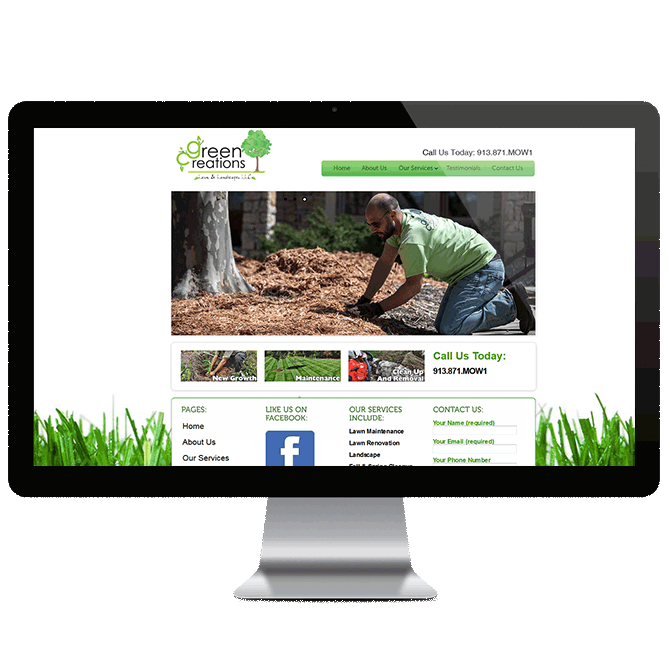 Overland Park based Green Creations Lawn & Landscape wanted to create a website design that would serve two purposes. First, showcasing the work that they do and the services they offer and second, the ability to use blog posts as an organic search marketing tool. I created a website built on a highly optimized WordPress framework. The design, with fresh cut blades of grass acting as a background does a good job of staying true to their existing branding. The website design layout showcases their services while maintaining a clean and clearly defined structure to the site. With the new website, Green Creations is able to target their home market of Overland Park Kansas and create highly targeted content that allows their site to show up in search results to the customers that they are looking for.